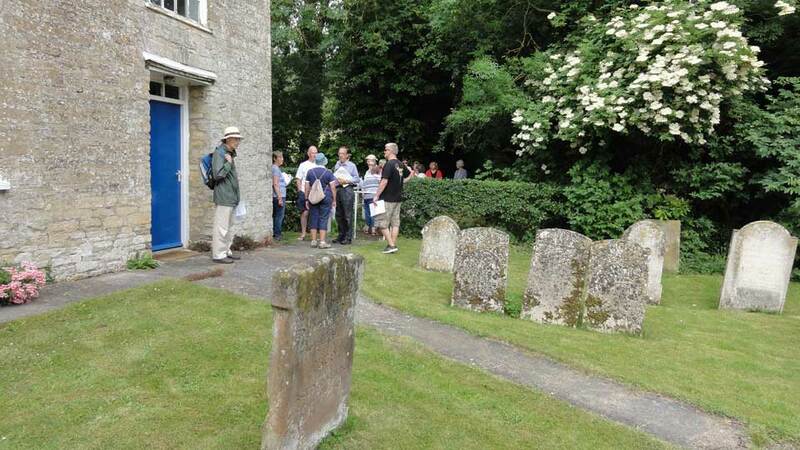 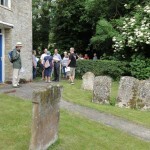 The first Giddings event of Gala Week kicked off with a wonderful tour yesterday evening of Anglo Saxon Great Gidding, led by archaeology historian Josie Barnacle and ably aided by Patrick Ellis. 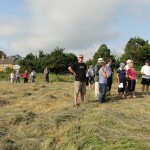 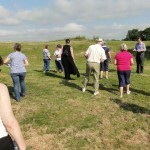 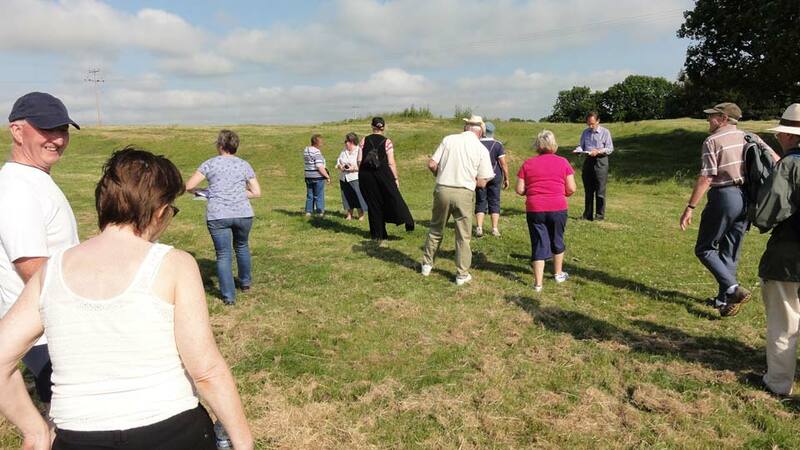 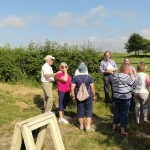 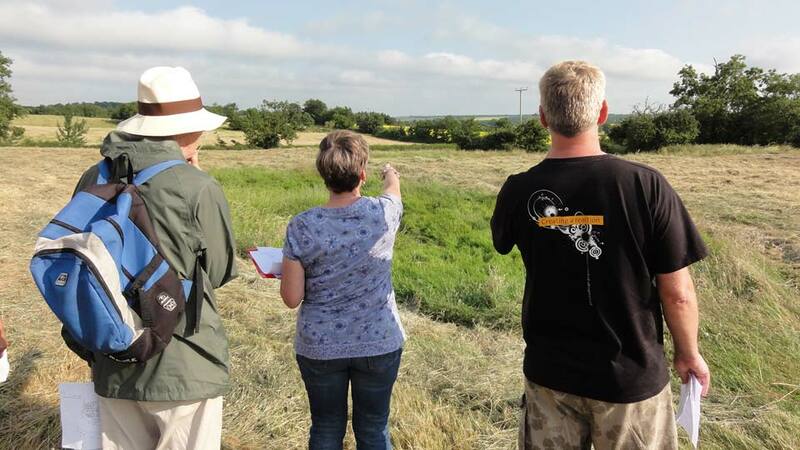 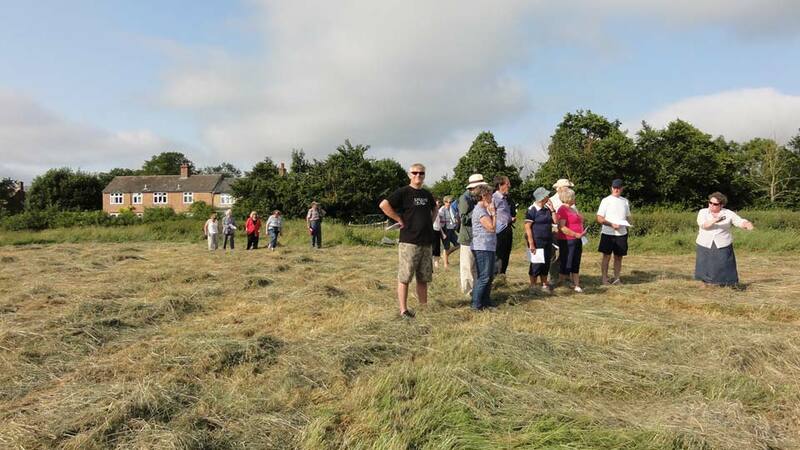 Instead of peering over the gates, it was a delight to be able to walk across fields that had been opened especially for the event and to see the location of the old windmill, hollow ways and indications of Anglo Saxon housing platforms. 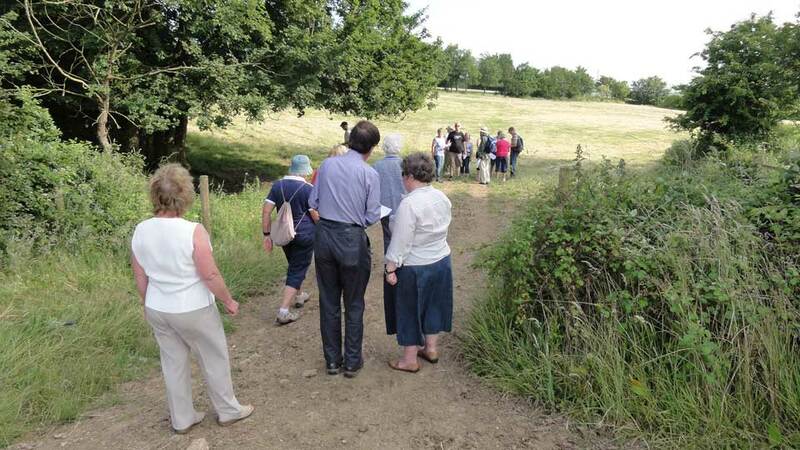 The sun shone as we wandered along the old road, sloping down from the site of the windmill to where the open marketplace had once bustled. 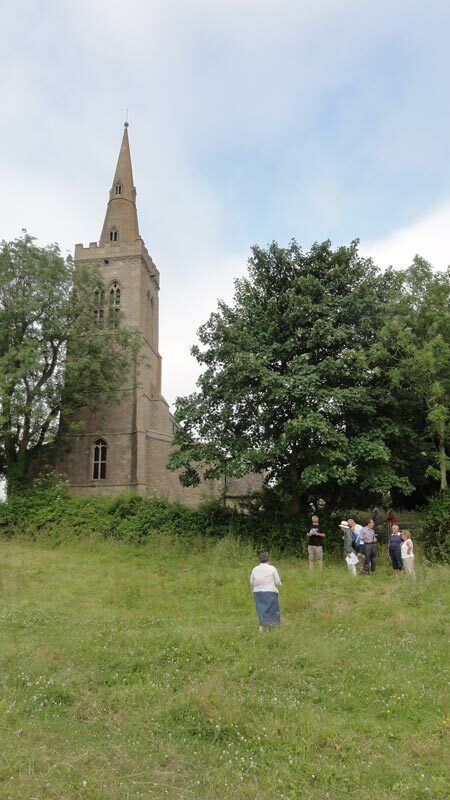 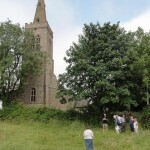 Further round and we saw part of the moat that possibly once encircled an old manor house, from there leading on to St Michael’s Church via Church Lane – now commonly known to all as ‘the jitty’ (or should we spell that with a ‘g’ as we’re in GG). 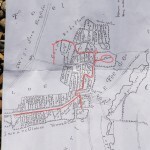 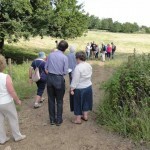 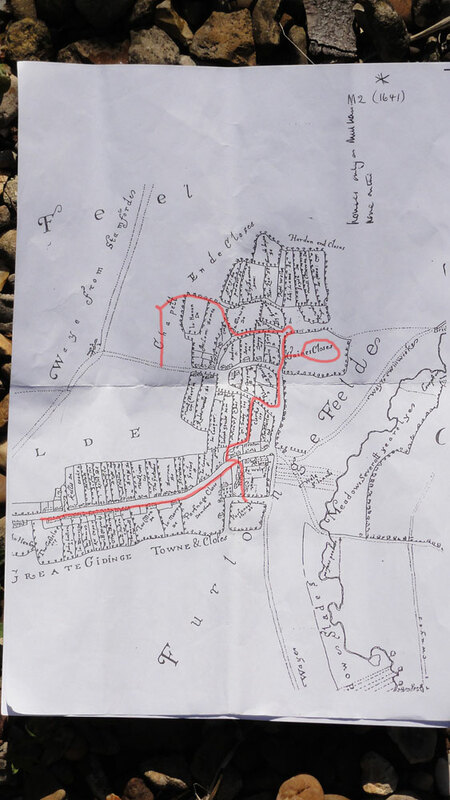 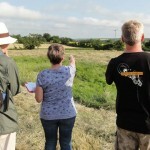 Josie had handed out maps at the start of the walk – some dating from 1641 and others from a later date, so it was very interesting to follow our track and see how the settlement had expanded away from the original location. 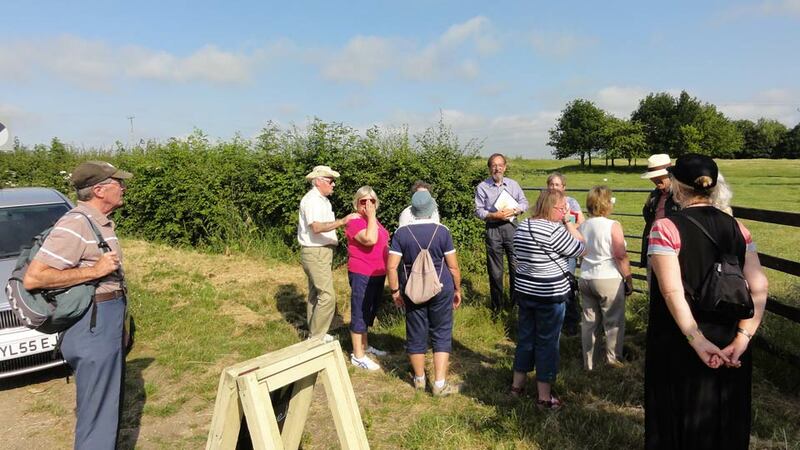 Many facts, stories and anecdotes were imparted throughout the walk and many thanks to the Gala committee and Michael & Julie for tip top refreshments at the end of the walk.